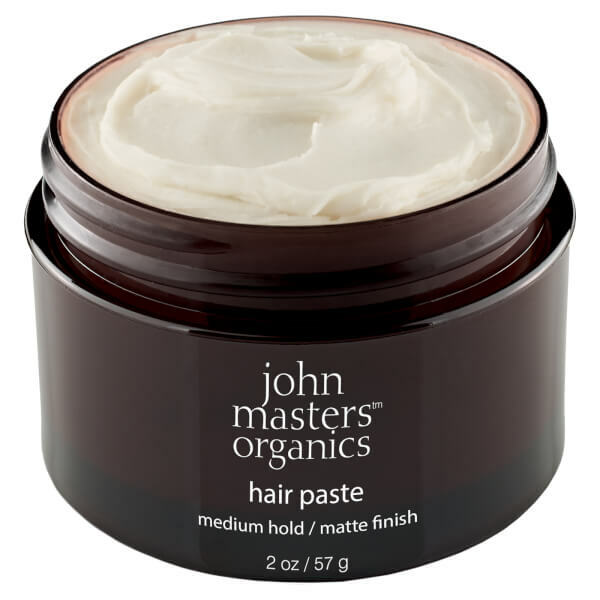 Achieve ultimate flexibility when styling with the John Masters Organics Hair Paste, a multitasking formula suitable for all hair lengths. 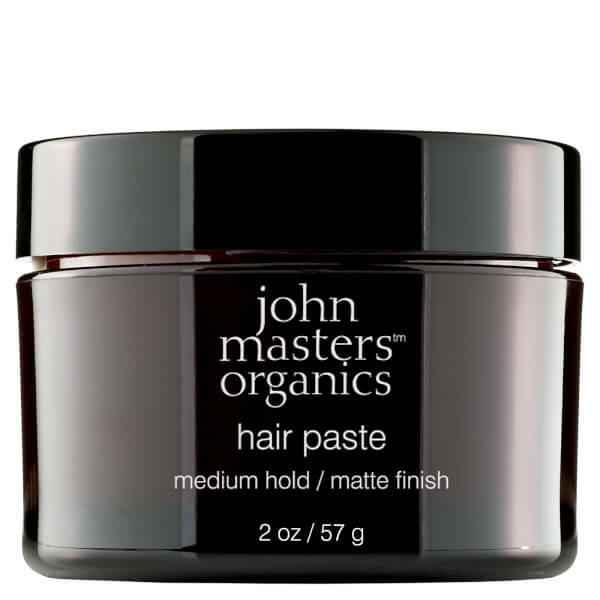 Enriched with a nourishing blend of Avocado Oil, Aloe Vera and Shea Butter, the hair clay delivers visible volume and natural-looking texture for a soft matte finish. 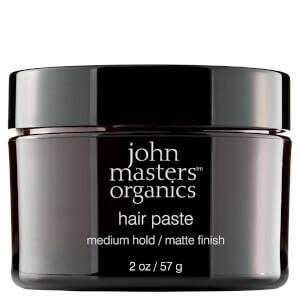 Expect the perfect amount of hold for seemingly effortless, lasting styles. 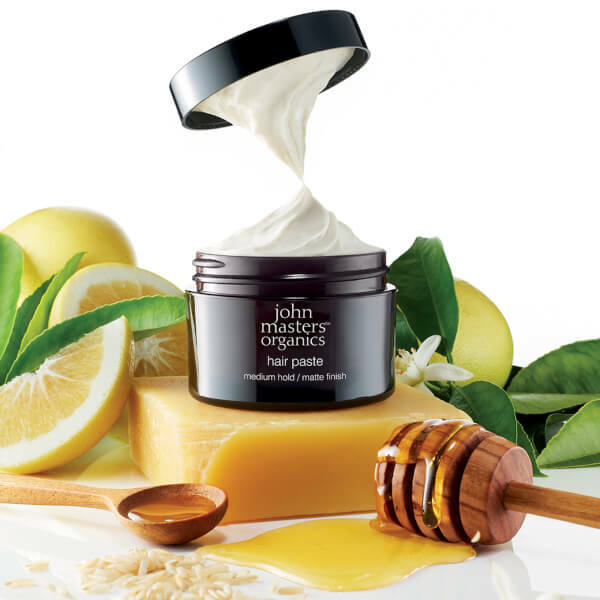 Aloe Barbadensis (Aloe Vera) Leaf Juice*, Oryza Sativa (Rice) Extract*, Cera Alba (Beeswax)*, Mel (Honey)*, Bentonite, Tapioca Starch, Stearic Acid, Myristic Acid, Glyceryl Stearate SE, Cetearyl Olivate, Sorbitan Olivate, Butyrospermum Parkii (Shea) Butter*, Helianthus Annuus (Sunflower) Seed Oil*, Linum Usitatissimum (Linseed) Seed Oil*, Aqua (Water), Theobroma Cacao (Cocoa) Seed Butter*, Persea Gratissima (Avocado) Oil*, Citrus Bergamia (Bergamot) Fruit Oil, Panthenol (Vitamin B5), Boswellia Carteri (Frankincense) Oil, Equisetum Arvense (Horsetail) Extract*, Achillea Millefolium (Yarrow) Extract*, Lauric Acid, Palmitic Acid, Citric Acid, Potassium Sorbate, Sodium Benzoate, Limonene†, Linalool†.